What's The Secret Ingredient That Makes Dodge Such A Badass Car Company? Dodge was always cool, but the Hellcat changed everything. 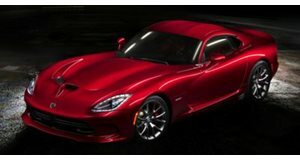 The Dodge brand has gone through many changes over the years. At one point in time, its models were billed as the mid-priced option between Plymouth and Chrysler brands. While they are still technically lower priced versions of Chrysler models, today's offerings have a performance focus that has been lacking for a very long time. As part of the Fiat-Chrysler Automotive group, the Dodge brand is back to being one of the coolest brands on the market, and we want to know how that has happened. The 1960s and early 1970s were a great time to be an American automaker. The muscle car era was in full swing and Dodge was taking full advantage of the craze with models like the Challenger and Charger. The Challenger ended production after 1983 and the Charger finally died in 1987. By the time both of these cars went out of production, they weren't exactly the badass creations that they were in their heyday. Then, Dodge went through a dark period where the brand didn't really make anything cool. It wasn't until 1992, when the first Viper came out, that Dodge finally got some of its mojo back. The Viper proved that Dodge could be cool again. The Viper was a great start, but Dodge still needed to get back to its roots of building fast, affordable cars. The SRT division was just what Dodge needed to return to its former glory. In 2003, the Viper received the SRT-10 name, and the Neon SRT-4 was the first Dodge to try and compete with small performance cars from Europe. The early SRT models like the Magnum SRT-8 were a lot like the old muscle cars of the '60s. They looked awesome, had simple interiors, and went fast in a straight line. In 2006, Dodge made the odd decision to bring back the Charger as a four-door sedan. The SRT-8 model was just what Dodge needed to woo enthusiasts back to the brand. The Charger was a nice start, but the reintroduction of the Challenger in 2008 really gave Dodge the firepower that it needed to take on the Ford Mustang. The Charger and Challenger continued to be improved and are both still on the market today. Both of these models will eventually get a huge redesign based on the Alfa Romeo Giorgio platform. Until then, both the Charger and Challenger remain based on a modified version of the Chrysler LX platform. Basically, the platform that these cars use is heavily based on Mercedes-Benz cars from the 1990s. It may not be the most complex chassis in the world, but it doesn't seem to be hurting sales. The best was still yet to come for the SRT division. If we looked back a few years, we never could have imagined that Dodge would create a model that was cooler than the SRT-8 Charger and Challenger, which both came with a 6.4-liter HEMI V8 with 470 horsepower. 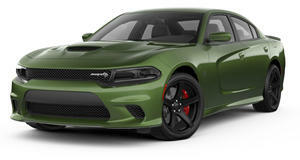 All of our expectations were completely blown away when Dodge decided to introduce the Hellcat. Powered by a 6.2-liter supercharged V8, the Hellcat twins have 707 horsepower. 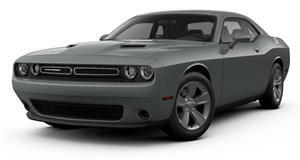 Dodge now offers two models with as much power as a Lamborghini Aventador for a fraction of the price. It's hard to believe that a company's lawyers would sign off on the name Hellcat, but we are glad that someone at FCA has a good sense of humor. The Hellcats have made everyone forget about the company's dark days. There was a long period of time when no one would have missed Dodge if it went out of business. Now, the company is back to its roots of building cars that don't conform to society's standards. Calling a car the Hellcat is absolutely ridiculous, but that's what makes it awesome. No one needs a 707 horsepower car, but that's what makes it so special. Dodge was always the king of counterculture. In a day and age where SUVs and hybrids are taking over the market, and companies want to build EVs, Dodge has built a reputation through badass V8 muscle cars. We love that Dodge is so different from any other automaker, and that is the secret ingredient that makes it so badass.